Investing.com — The euro was slightly higher against the dollar and pound in early trade in Europe on Friday, supported by signs of an economic rebound in China and reports of buying related to a big cross-border acquisition, while sterling continues to slip amid the prospect of more months of Brexit-related uncertainty. Reuters reported speculative buying of the euro ahead of the completion of Mitsubishi UFJ’s acquisition of the aviation business of Germany’s DZ Bank, a deal that will cost over 5.3 billion euros ($5.9 billion). The dollar index, which measures the greenback against a basket of six major currencies, was down 0.1% at 96.675, despite rising against the yen on the back of better-than-expected jobless claims and producer price inflation data on Thursday. Risk sentiment received another modest fillip from a mixed set of Chinese trade data for March, which showed a sharp rebound in exports, which rose over 14% on the year, well above forecasts for a 7.3% increase. Imports, however, fell short of expectations, dropping 7.6% on the year, instead of the 1.3% drop expected. 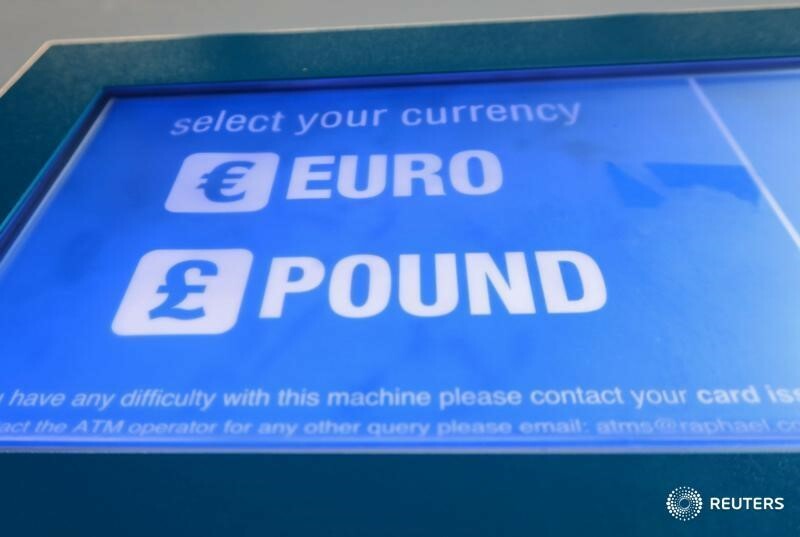 Closer to home, sentiment toward the euro has been subdued in the wake of another dovish press conference from the European Central Bank, but it has still risen against sterling, which has suffered in the wake of the EU’s decision to extend the deadline for Brexit to the end of October. Reports that the EU’s member states are set to approve a mandate for the European Commission to start trade talks with the U.S. may also help sentiment at the margins, but have had little visible impact so far. At 04:00 AM ET (0800 GMT), the euro was at $1.1284, up 0.3% from late Thursday in Europe, and at 0.8640 against the pound, up 0.3% and testing a three-week high of 0.8643. Elsewhere, Turkey’s lira remained under pressure after another drop in the country’s foreign exchange reserves. The fall of over 3% in net reserves in the week to April 5 came on top of a negative reaction to a government plan to strengthen domestic banks, which face challenges refinancing foreign loans.